Walgreens' mission is to offer its customers the best retail pharmacy products and services in America. For over one hundred years, the company has provided its customers with the affordable essentials that they need when they need them. Walgreens offers prescription drugs, general merchandise, over-the-counter medications, cosmetics, electronics and groceries. This means that you'll always find something that you want or need. If a Walgreens store has it, the Walgreens Gift Card buys it. And, with over 8,500 locations nationwide, putting the Walgreens Gift Card to use will be easy and convenient. For the location of the Walgreens store nearest you, please visit www.walgreens.com. The store locater can be found at the top of our website's home page. For added convenience, more than a third of all Walgreens stores are open twenty four hours. Almost all stores offer one-hour photo processing. For balance inquires, check receipt or call 1-877-248-5555. 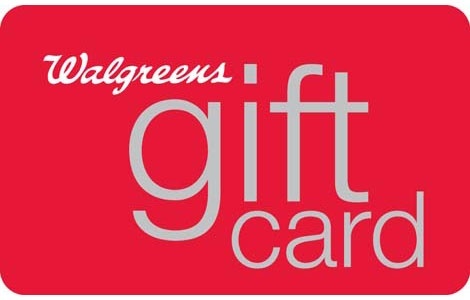 Present your Walgreens Gift Card to the cashier at the time of purchase. The available balance will be applied toward your purchase. Reload any amount from $10.00 to $500 at the Walgreens location nearest you. Use of the Walgreens Gift Card constitutes acceptance of the following terms: This card can be used only for the purchase of merchandise at any Walgreens Drug store, Rxpress or Walgreens Pharmacy in the United States and Puerto Rico. The card cannot be redeemed for cash and no change will be given, except in those states that require redemption for cash. Taxes are the responsibility of the card holder.